It’s nearly impossible to change the first opinion. When your home is on the market, this rings even truer. What a potential buyer sees as they pull up to your home will determine the resale value of your house more than anything else. Curb appeal is king when selling. 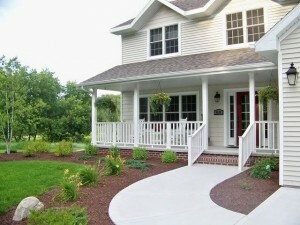 Olathe landscaping is an important factor in determining the value of a house. When a buyer instantly likes the look of your home, it has a chance to sell. If there’s no appeal from the outside looking in, you’ll struggle to get full value for any property. Being in business over 50 years, we have the experience you need. 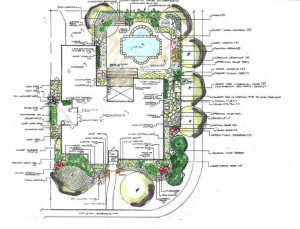 We know exactly how to add value to your home through small landscaping projects. We know the exact makeup of your lawn and how to properly fertilize it. We understand how to add dollars to the resale value of your home with as little work as possible. Not only do the landscaping professionals here at Huston Contracting have experience, but we also have the professional tools to get the job done right. Tree removal, retaining wall installation and more all usually require the right tools for the job. Homes for sale require one thing – monthly maintenance with regards to landscaping. You need to keep your home as sharp as possible when trying to sell it. Research has shown homeowners who purchase monthly landscaping before and while their house sells, finds a buyer nearly 40% faster. Most of us hire an accountant to file our taxes. When a lot of money is involved, it makes sense to hire a professional. Olathe landscaping is no different. When your home is on the market (and before), you need the highest quality work possible. That’s where we come in. Lastly, we understand you’ll be beyond busy when trying to sell your home. Your normal day-to-day life doesn’t change, but you have to worry about open houses, keeping things 100% clean all the time and so much more. Taking one thing off your plate can make life a lot easier and give you some time back. Landscaping is an easy one. At Huston Contracting, we strive to be your one-stop-shop for all things landscaping in the Olathe area. If you’re about to put your home on the market in Olathe, get in touch today for a consultation. We look forward to helping you up the resale value of your property.